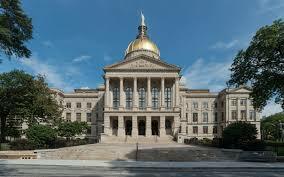 HIAWASSEE, Ga. – District 8 House Represenative Matt Gurtler traveled to the Gold Dome in Atlanta last week, voting on three separate issues during a special state session. The second-term representative rejected the amended 2019 Georgia budget, along with a tax credit bill for timber producers, while approving a tax exemption for jet fuel sales. 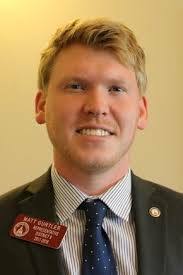 Concerning the budget, while Gurtler expressed that he supports affected individuals residing in the counties impacted by Hurricane Michael, the state representative explained that the manner that allocated funds were not in sync with his conservative principles, prompting Gurtler to vote against the measure. Gurtler additionally disapproved of the amended budget due to what he considers wasteful spending. “Out of the $270 million allocated, $40 million of those taxpayers dollars went to departments that directly interfere in the free market by subsidizing private businesses through the One Georgia Authority and REBA (Regional Economic Business Assistance), ” Gurtler explained, “This shouldn’t have been part of the discussion during the special session and these departments actually hurt Georgians and the Georgia economy. But nonetheless, subsidies and handouts always seem to find their way back on our desks. Likewise, Gurtler voted against House Bill (HB) 4EX, which would provide tax credits for timber producers. Although Gurtler stated that while he does not believe that the jet fuel tax exemption measure is without flaw, the representative voted in favor of the bill. “I voted YES to this measure because this fundamentally decreases the size of government through the lowering of tax thus reducing the size of government, burden, and power of government through revenue. This is not just for Delta as you would hear from the Atlanta media, but a lowering of taxes across the board for an entire industry on a specific commodity used in that industry,” Gurtler concluded.